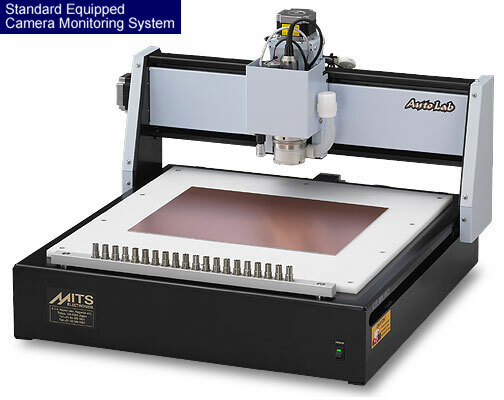 High resolution PCB milling machine with a 400x365 mm working area. Fiducial positioning camera and monitoring system included as standard. Auto-Tool-Change mechanism with up to 10 tools. The standard spindle motor is made in Japan with high quality and low runout. Tool change mechanism is electro-mechanical and does not require a compressed air supply. 10 Station Auto Tool Change (20 by option) - mechanical system with no compressed air source required.